Using enemy powers against enemies: necron tessaract. Sure, yours is a perfectly valid interpretation of the fluff! I was just sharing my preferences. I'm not just talking about Cain here. Eisenhorn said as much as well when interrogated, and I tend to put some weight behind Abnett's interpretation. But yeah it's all opinion at the end of the day. Oh and whoever it was that wrote a novel about confederate imperial guard fighting against the Tau. * In a sci-fi setting, not a Lil' Abner comic! I had a cracy idea to make a kind of parody of deathwatch set in the "Dixius sector" that was all 100% redneck morons in which normal space marines would get dropped. The bgase would be watch fortress Alamo. The commander would be Earl E. Kyler and based on the character from squidbillies. Yes, he had a bolter shotgun. No, it wasn't practical at all. Their version of the omega vault was a gypsy fortune telling machine that gave out cryptic cards when a sacred coin was inserted. The coin would appear at a random location in the fortress and whoever found it was bound to go the the holy divination machine and insert it, then interpret the message. The tech priest lived in a sacred trailer and built very fast land raiders that had flames shooting out of the exhaust manifolds. The inquitiror was based on a very large trailer park busybody woman in power armor. Yes it was meant to be a joke setting. Imagine the horror of regular marines being dropped off there. I think Dan Abnertt is the best 40k writer in the galaxy. Depends what you're looking for. Personally I like Mitchell, because it doesn't feel so absolutely dreadful to be alive in Mitchell novels. Adbnett can write a good story though so it helps. 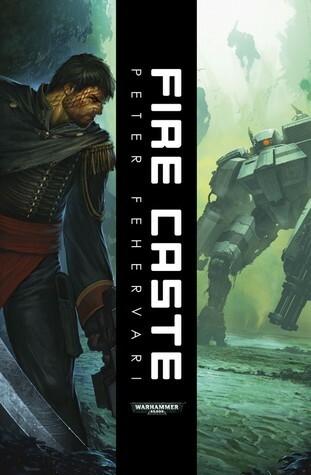 It's called Fire caste (because they are fighting the Tau) and I swear some of the stuff (the steam zouaves) is straight out of some guys Deadlands rpg session. Their sentinels had hooved feet! Yaaaay! I'm not a big Gaunt's Ghosts fan, but I like Necropolis. at points in the book it's almost like you're reading a historical textbook.